RFID Forklifts can be used as a cost effective way to track inventory in warehouses. Installing an RFID antenna in every rack does not justify the ROI. RFID enabled forklifts are cost effective and provides you with complete visibility on your goods and their whereabouts in the warehouse. How can RFID Forklifts be used for Rack Management? Each rack is labelled with an anti-metal RFID tag. These tags are programmed with the rack-id to identify the exact location of the goods on the floor plan. Each item is also tagged per pallet level or box level. 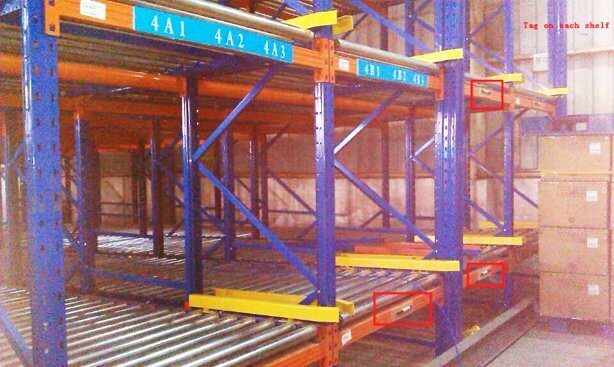 The forklift concurrently reads the ID of the rack and the inventory and stores the location data whilst the goods are being loaded or removed from the racks. RFID Forklifts is an ideal solution for every warehouse’s rack management needs.